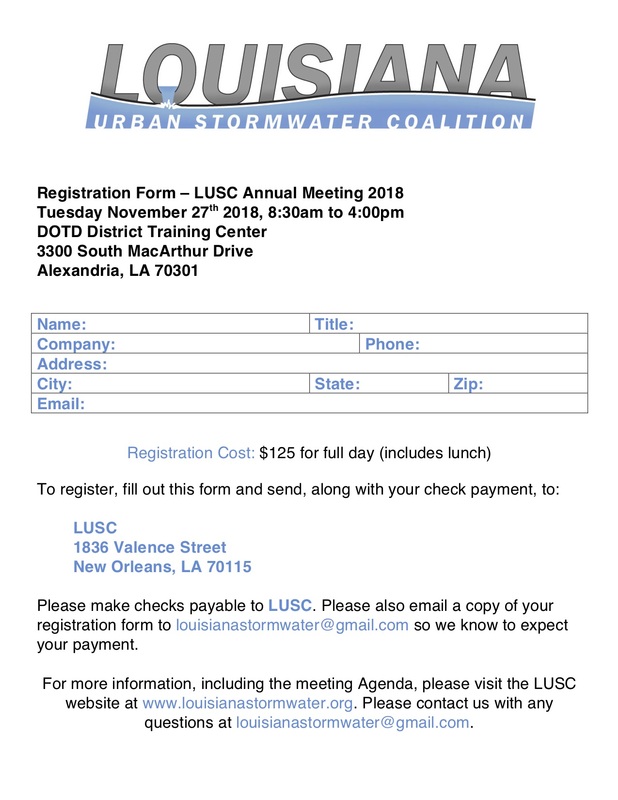 The 2018 LUSC Annual Meeting is coming soon! Click HERE for the meeting Agenda, and HERE for the Registration Form. Please email louisianastormwater@gmail.com with any questions! Take our Online Stormwater Inspector Training for Construction Sites and join us for the in-the-field day next month! To register for and take the online portion, go to lusc.digitalchalk.com. Make an account, then you can sign up and pay for the course there. The above online portion of this course must be completed and passed first. We cannot hold the in person session very often, so make sure to take advantage of this one! 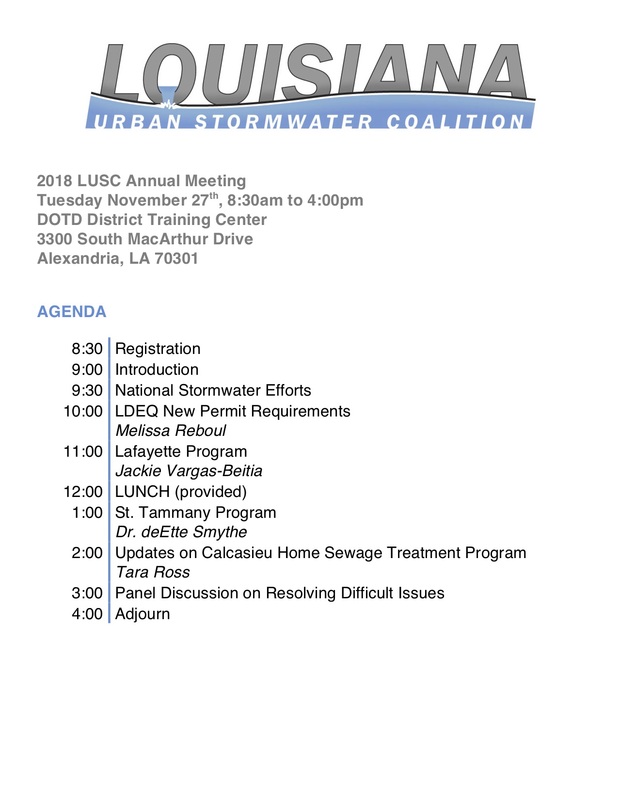 To reserve your space at the in-the-field session, email us at info@louisianastormwater.org with the name and email address of the person attending. WEF is offering a FREE webinar next month! The 2017 EPA Region 6 Stormwater Conference will be held September 17-21 in San Antonio, Texas. See the flyer below for more information and check out the conference website HERE. Any communication should now be sent to that address. Make sure to add us to your white list to be sure to receive our emails! The LUSC Annual Meeting that was planned for November 17th has been postponed. The new date of the meeting is Tuesday, February 7th at the same location and time. If you have already registered, you have the option of either crediting your registration fee to the new meeting date, or receiving a refund. Please email us at louisianastormwater@gmail.com if you have any questions. 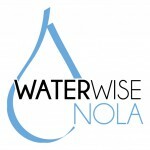 The Greater New Orleans Foundation and City of New Orleans in partnership with the Surdna Foundation present the Urban Water Series: Technical Master Classes, a series of lectures and workshops which aim to deepen the technical knowledge of private and public sector professionals and improve their ability to design, install, and maintain green infrastructure. The whole-day workshop on December 9th entitled “Manmade Natures: Urban Climate Change Solutions” discusses how other cities are implementing climate adaptation strategies in neighborhoods and large-scale urban renewal projects. This master class is intended for landscape, planning, design professionals, architects, and parish and city staff. The workshop costs $75 which includes breakfast, lunch, and parking. To register, please go to www.gnof.org/work/environment/urban-water/. For questions, contact johanna@gnof.org. More information can be found in the event flier HERE. Register now for the 2017 LUSC Annual Meeting! See the full detailed Agenda HERE. To register online through PayPal with a credit card, click HERE. Please email info@louisianastormwater.org with any questions. Information about speakers and registration coming very soon! DALLAS (Aug. 23, 2016) – The U.S. Environmental Protection Agency (EPA) recently awarded $95,000 to the Jena Band of Choctaw Indians in Jena, La. as part of the General Assistance Program (GAP). The tribe will use the funds to administer their environmental program and assist in the development of multimedia programs to address environmental issues. The primary purpose of GAP is to support the development of core tribal environmental protection programs. Other activities to be carried out under the grant include, but are not limited to, attending environmentally related training and conducting community outreach. In 1992, Congress passed the Indian Environmental General Assistance Program Act which authorizes EPA to provide GAP grants to federally-recognized tribes and tribal groups for planning, developing, and establishing environmental protection programs in Indian country, as well as for developing and implementing solid and hazardous waste programs on tribal lands.